This modest, yet popular small Korean restaurant in Vienna’s 2nd district will have you chowing down on Kimchi and grilling up your own meal on a table-top grill, while loving every minute of it. 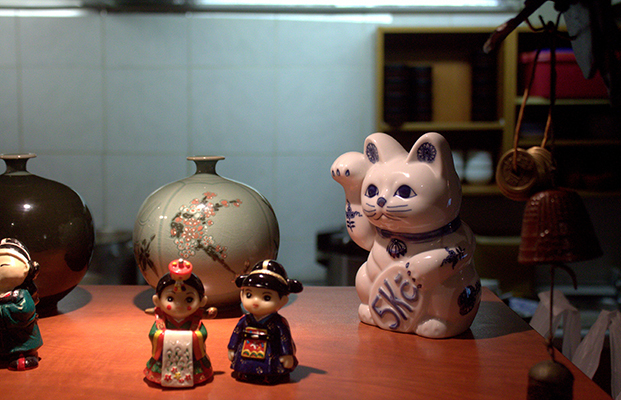 Seoul Restaurant is the kind of place people easily pass by on the street without noticing. It takes ones to look through the crowded window under its simple blue sign on the street to notice this pokey little place is popular. For good reason. Seekers of Korean kitchen know this little family-run restaurant as one of the go-to places in the city for the all-round dining experience of the Korean-style BBQ. Almost elbowing fellow eaters, we find ourselves staring hungrily at the plain, gray table and desperately waiting for someone to take our order as we watch the delicious and exotic looking array of barbecues, stews and stir-fries served by the smiling, warm staff. The unfamiliar menu may seem rather strange to those uneducated on the Korean kitchen, but the staff here are happy to walk you through it. 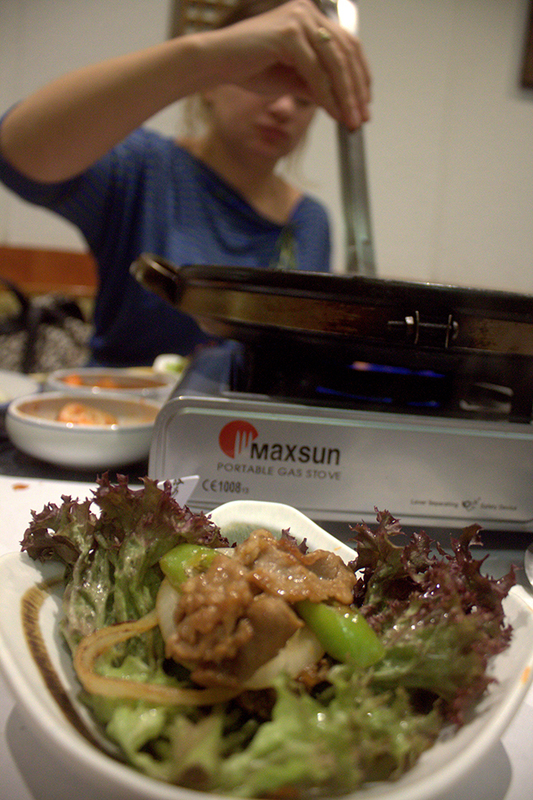 For us, the choice is simple – the gogigui (Korean BBQ) for two. Just a few minutes later, while we enjoy a pint of Austrian beer, two bowls appear on our gray table, bringing in the first elements of colour (red) – a bowl of kimchi (sour and spicy pickled cabbage drowned in chili sauce) and a pickled turnip, just as spicy. These are the garnishes that belong to every Korean meal. 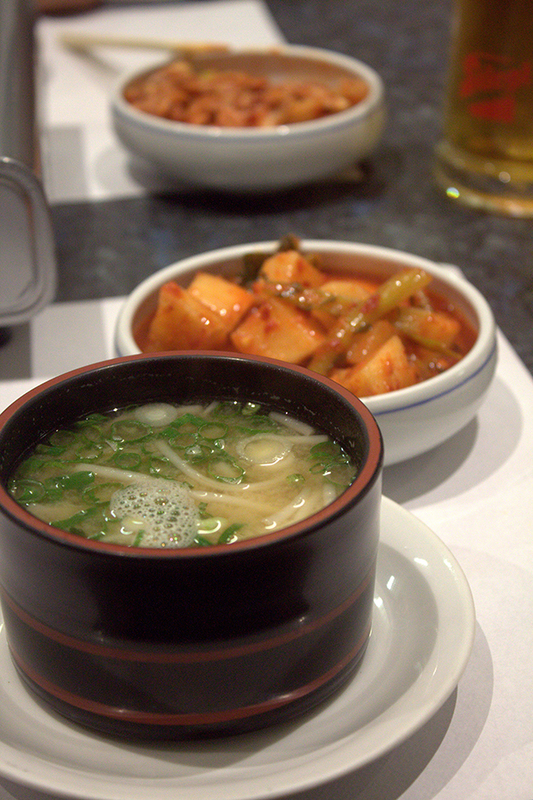 Two miso soups and a plate with 4 golden gyozas follow, next to the kimchi and the turnip. Just as we’re slurping up a strand of algae in our miso, the waitress comes and pushes everything to the edge of the table. Something big is on the way. Our eyes also widen as a simple table-top cooker is set up in the middle, looming large over the starters and colourful veggies. In between our waitress adjusting the gas to the grill, someone from the kitchen keeps handing her more plates, starting with salad leaves, garlic, chilies, mushrooms, onion rings, and finally, the thin slices of marinated beef. All raw. When she finally brings out the rice bowls to complete the feast, we start wondering if we should have reserved two tables, to fit all the food. All dishes are moved around like puzzle pieces trying to find their place as the waitress brings more plates, until not one inch of the table can be seen. The once grey table has become one colourful Korean feast for which we’re the chefs. 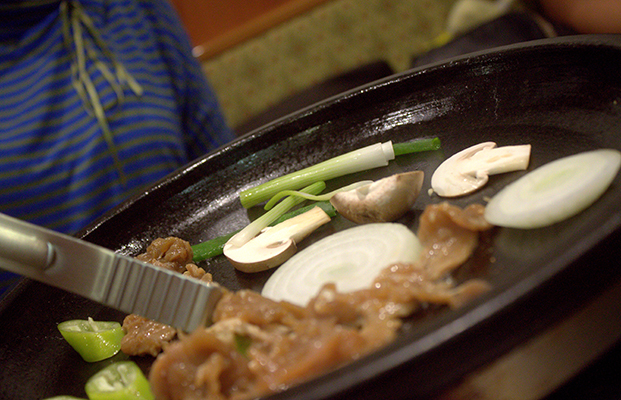 Every mentioned ingredient has an important role to play in the Korean BBQ ceremony. The marinated meat, the garlic, the onion and the chilies and the mushrooms engage in a sizzling dance on the hot plate in front of us while the salad and the side sauces await their turn on our plates. We take turns picking and playing with the items on the grill with the thongs. Each roasted veggie and grilled piece of meat is laid out on a salad leaf when ready, and then wrapped and dipped in an intense, salty and sweet tasting sauce that completes the spice of the marinade. We simultaneously cook and eat, eat and cook, until the colours on the table dwindle. This must be the closest we ever got to craving food while eating. The click of the gas being turned off of our table-top stove signals the end to our gogigui ceremony, and all of the leftover plates smeared with the colours of the food are collected, handed back to the kitchen, until all that is left is us, the grey table, and the leftover zing from the spice on our tastebuds that are sizzling long after the grill is turned off. 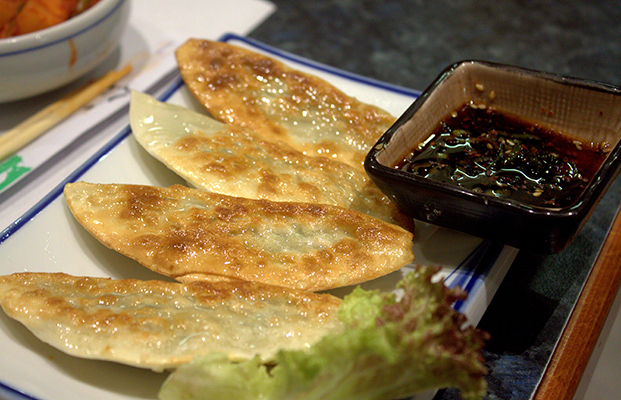 Insider Info… Also, dishes that are mentioned to be spicy hold true to their promise! We recommend… that you explore when it comes to what to drink here. Besides Korean beer they also serve specific drinks like the Makgeolli (a slightly sweet, milky alcoholic beverage made of rice) and Ginseng Schnapps. The non-alcoholic list surprises with ginseng and genmaicha tea (a Japanese sort of green tea prepared with roasted brown rice! 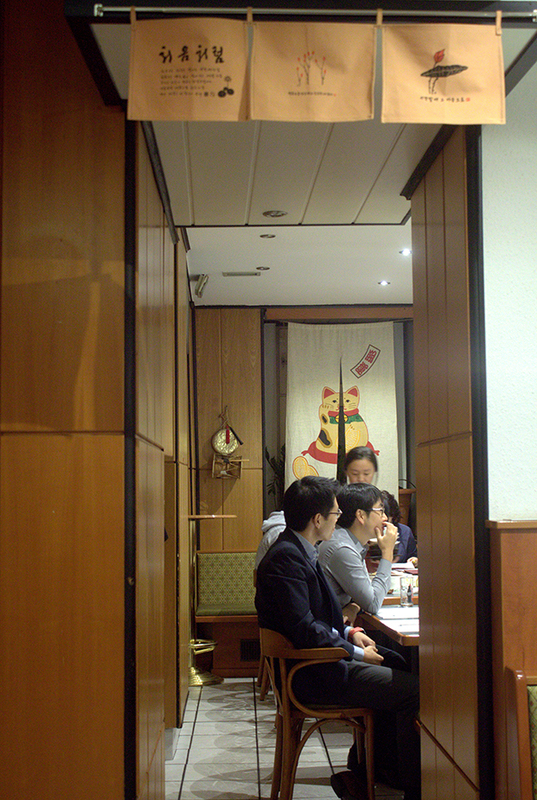 Good to know… They have a large list of Korean dishes to order a-la-carte, alongside the Korean BBQ. 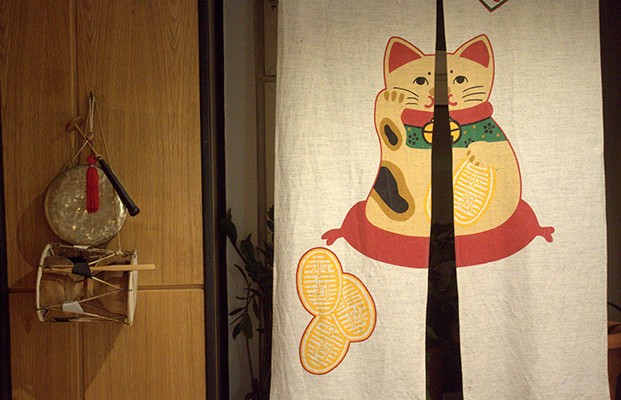 You can choose from 10 types of soups and about as many rice and noodle dishes as you can imagine.